Editor’s note: This was originally published on MarketWatch on February 1, 2018. We don’t know exactly how the Trump administration will proceed. But it is important to understand what opportunities exist, and what is at stake for the discovery of new cures, in rebalancing international drug prices. High drug prices in the U.S. help pharmaceutical innovators pay the high cost of bringing a new drug to market — over $2 billion each according to multiple independent estimates. While Americans shoulder that burden at pharmacy counters and in insurance premiums and deductibles, Europeans get access to new medications at deeply discounted prices. Trump is right that it is time for that unfair practice to end. U.S. consumers spend roughly three times as much on prescription drugs as consumers in France, Germany, Italy, Spain and the United Kingdom. Some of this is due to greater use of newer and higher strength medicines in the U.S. But much of the gap arises because of lower prices for identical drugs overseas. For example, Abbvie’s Humira, an arthritis and colitis medicine that is the world’s top-selling drug, costs an estimated $2,500 a month in the U.S. after discounts. In Germany, it is about 30% less ($1,750) according to Bloomberg. In other nations, the discounts relative to the U.S. market are even greater. Our calculations suggest that the U.S. market accounts for as much as 78% of all global drug profits. These are the profits that drive innovation, and they are coming out of American wallets. Why does this happen? Branded prescription drugs are 20% to 40% cheaper in Europe in large part because the national health plans there drive hard bargains. 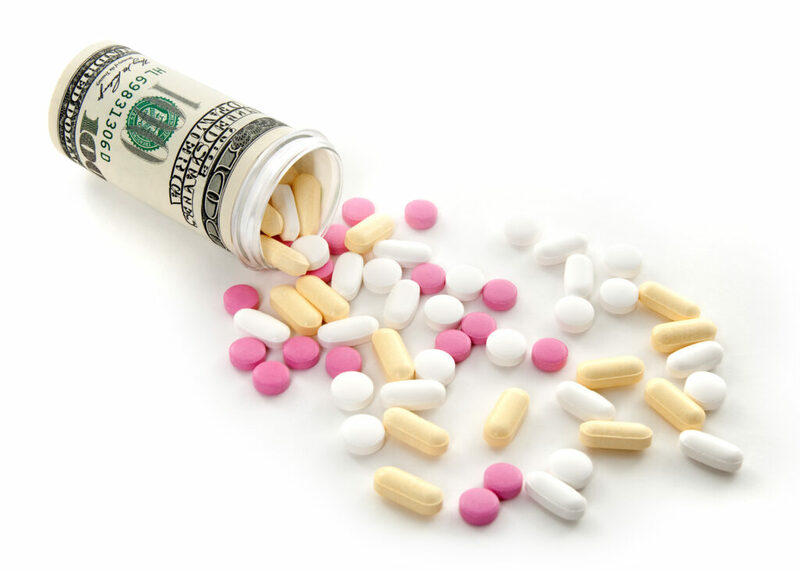 The state-run buyers can impose price caps, or even refuse to allow a drug onto a national formulary if they think it is not worth the cost. Bargaining does occur in the free-market U.S., but not nearly in such draconian terms. Medicare was expressly forbidden from bargaining when the drug benefit was added during the George W. Bush Administration. If the Food and Drug Administration approves a drug and a physician prescribes it, Medicare will almost always cover it. Private insurers and pharmacy-benefit managers can usually negotiate down from sticker prices, but they typically don’t have the European-style ability to broadly deny access, which is the big bargaining chip. Americans should be asking what would happen if other countries picked up more of the cost of drug discovery. Using the Future Elderly Model at the University of Southern California — a simulation developed with support from the National Institutes on Aging — we find that increasing prices in Europe by 20% would result in about $30 billion in extra worldwide pharmaceutical revenue every year from the five largest European markets. Some of that new money will surely go to employees and shareholders at pharmaceutical companies around the world. It might even reduce pressure on U.S. prices. Most importantly, however, the evidence conclusively demonstrates that greater revenues will find their way to the R&D department. And that extra R&D spending eventually means more drugs find their way to market — on the order of one new drug approval for every $2.5 billion in added revenue. The bump in drug discovery means better outcomes for patients, both in terms of the quality and length of life. Over time, we find that European price increases would result in $10 trillion in welfare gains for Americans over the next 50 years, and $7.5 trillion in Europe. So what can the U.S. do to realize these gains? First, we must press other countries to pay their fair share. As we re-examine trade agreements, foreign drug-pricing schemes should get careful scrutiny, and ways to make up innovation funding shortfalls should be on the table. Countries that agree to raise prices for novel and effective drugs ought to be rewarded with more favorable trade accords. Other measures can help as well. We can lower drug development costs by harmonizing the international patchwork of regulatory agencies and patent systems. Today, manufacturers must seek approval from dozens of different jurisdictions, even though biology is pretty much the same all over the planet. Data sharing and common standards (for example, agreeing on common measures of clinical effectiveness) are just common sense. Too many countries have been free-riding on the generosity of the United States for too long. Reduced prices in Europe mean Americans are effectively paying a premium to finance research to treat conditions like diabetes, heart disease, and dementia. These diseases don’t recognize borders, and neither should the resources needed to fight them. Dana P. Goldman is director of the Leonard D. Schaeffer Center for Health Policy & Economics at the University of Southern California. Darius N. Lakdawalla is the director of research at the Schaeffer center. They own equity in Precision Health Economics, a consultancy to pharmaceutical companies.